Many a successful business person will have heard it said that “it’s at least six times more expensive to buy a new customer than to get an existing one to return”. What’s so interesting about this well-known fact is that very few businesses can demonstrate how they measure customer loyalty and protect their future revenue. Part of the issue is that most are using the wrong theory and don’t even know it. Delivering on customer satisfaction is basically about giving people what they paid for, but customers also expect efficiency, minimal fuss and a good price. 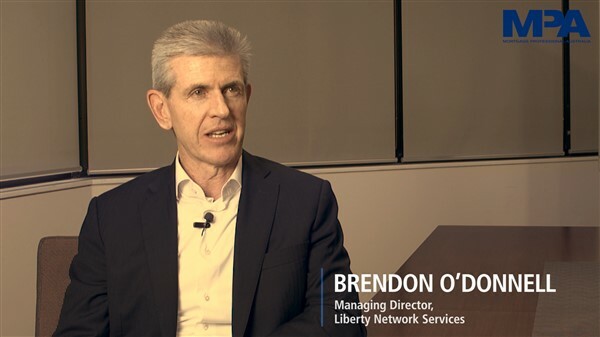 There is an attitude of complacency around service in Australia, which is a real problem. Think about how often you are wowed by your customer experiences. If you consider all of your own personal transactions, you’ll discover that only about 15% go way beyond your expectations and provide an excellent experience, and this is where the golden opportunity of optimising loyalty is hidden. Think of the people in your life who you care about, the ones you love and appreciate. Whenever you do, there is a strong heart connection to them. For businesses it can be the same: if you think about the businesses you are truly loyal to, you will find that it’s not because you got what you paid for but because you got a whole lot more. It’s usually down to the relationship you have with them and how they make you feel when you connect. Customer appreciation is a powerful and profitable currency. It’s rarely understood and grossly underleveraged in business. It’s without a doubt one of the biggest weapons a business can have against its competitors. The challenge is how to define customer appreciation in the culture of your business and especially in your frontline teams. It’s impossible to have extremely high customer loyalty with an average team culture. Most companies do not place a high enough importance on the relationship between team culture and customer experience. In fact, it’s rarely measured or implemented in team training. With customer appreciation as your objective, instead of mere customer satisfaction, you will see a massive impact on your bottom line. In a competitive market there are four specific categories that define and create revenue. It is critical to master and manage these four areas if you want to build powerful ambassadors for your business and maximise margins. If you are only delivering the basics of customer satisfaction, your primary focus will be on price. However, if you deliver very high levels of customer appreciation, then experience is the currency, and it’s about value. Your marketing strategies are designed to bring potential customers into contact with your business and to ideally attract the best prospects. In the last three to five years there has been an explosion in business marketing methods, and it’s expensive if you don’t measure and manage these wisely. The most effective lead generation strategy has always been and still is powerful referrals from loyal customers, as they know what they want and they want to deal with you. 2. Conversion rate: The fastest way to grow revenue is to increase conversion rates with prospective and existing customers. If you usually sell to two out of every 10 potential customers and increase your conversion rate to three out of every 10, that’s a 50% increase. Powerful referrals deliver the most effective and profitable conversion rates. 3. Nature of transactions: Successful businesses have a very high focus on creating repeat customers as they know this is more profitable for multiple reasons but especially because ambassadors for your company value experience over price and reward you with the maximum wallet share. Just think of who you are loyal to and how you choose them first every time. If you don’t have customers’ loyalty, then you must be price competitive to get them back, and this costs margin. Satisfaction is based on price, whereas appreciation is based on experience and value. 4. Average sale value: Appreciative customers can spend considerably more in your business than just satisfied customers, often double the money. If your business has a high focus on delivering appreciation for service excellence, you will be rewarded with higher sales values. This area is often overlooked, as the speed to transact overrides the opportunity gained from delivering service excellence. Customer satisfaction is the goal in a price-driven economy, a very fragile and unforgiving marketplace to operate in. Most businesses in Australia are stuck in the price trap and don’t even realise it. Customer appreciation is the result of a value-driven economy, a secure and predictable space in which customers genuinely want you to succeed as they want you to be there for them in the future. True customer appreciation creates an unshakeable emotional connection to your business that ensures you have the most powerful advocates who will go out of their way to support you. Darrell Hardidge is a customer experience strategy expert and CEO of customer research company Saguity, which works with businesses on developing customer appreciation. He’s also the author of The Client Revolution and The 10 Commandments of Client Appreciation. To ­find out more, visit www.saguity.com.